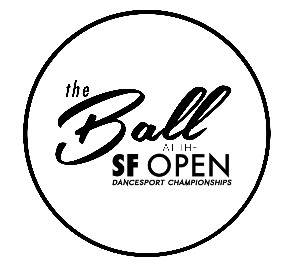 It is with great pride and excitement that we invite you to attend our 39th Annual "Ball at the SFOpen" Dancesport Championships, April 4-7 2019. Our spectacular venue, the Waterfront Marriott is conveniently located next to the SF International Airport featuring a state of the art Grand Ballroom, beautiful and contemporary guestrooms and a brand new lobby bar/lounge overlooking the relaxing Bay. Just a trolley ride away from high end shopping, restaurants and cafés OR take a Taxi to downtown San Francisco to explore all the sights of this World Class City!